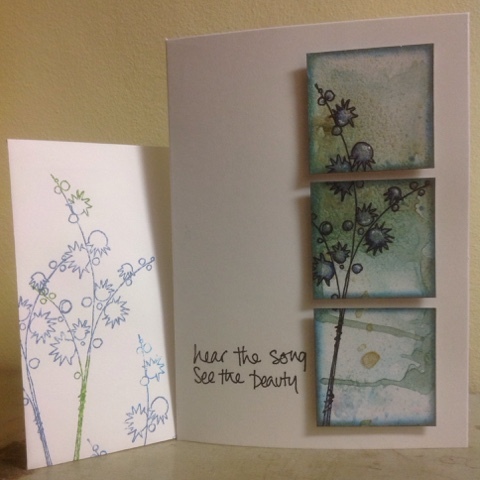 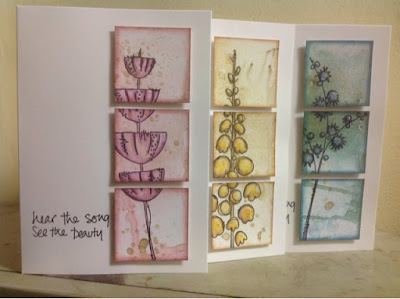 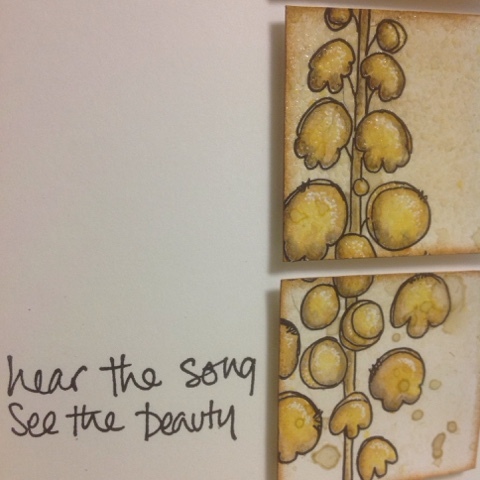 I'm posting three cards for the Paperartsy triptych challenge ( simply because I don't know what to do with home decor, cards are easier to pass on! ). 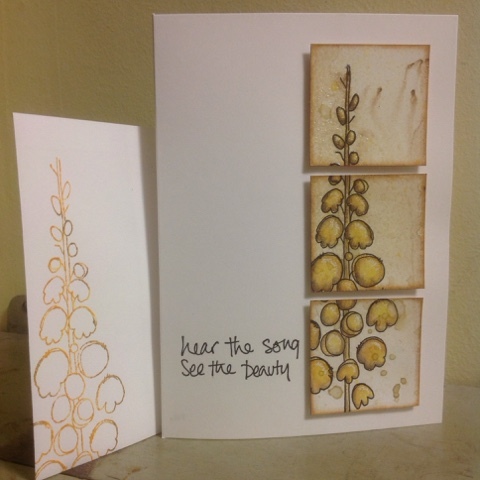 I'm also posting for the SimonSaysStamp Monday challenge (So glossy). 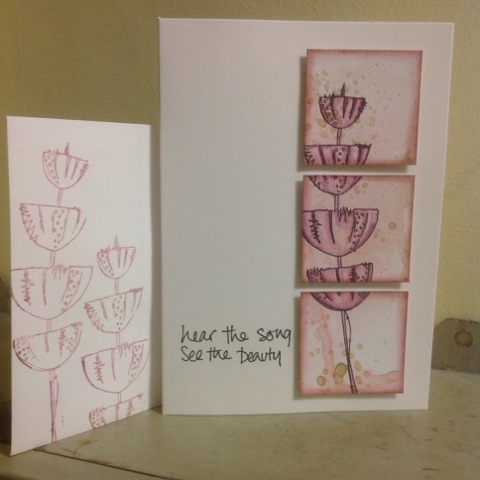 Each card uses Jofy flowers and has the same sentiment (or actually only half of it, from JOFY33). For some reason (anyone know why?) 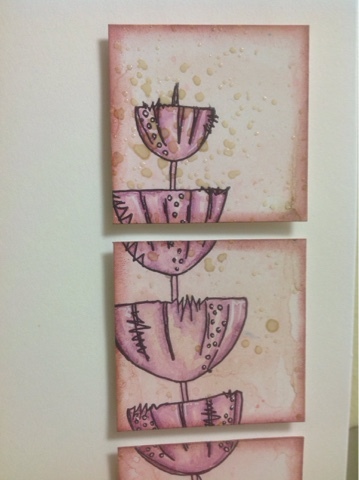 the Colour Bloom spray didn't seem to dry properly. 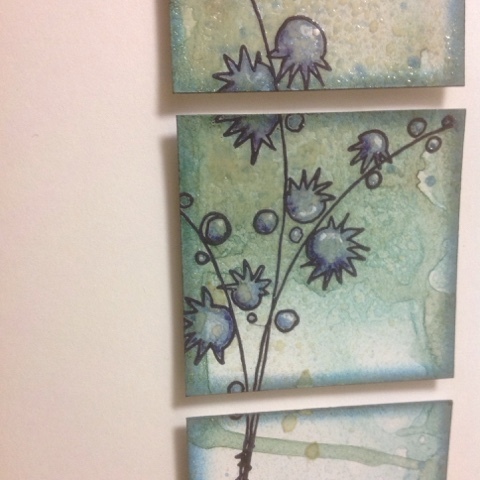 After stamping the envelopes, I decided I have to do something about the sticky panels: I sprinkled clear embossing powder over the squares and heated it. A bit tricky with everything already mounted on the card base, and a bit silly with some parts almost covered with the gloss, others just a bit splattered, but all in all nice, and no longer sticky.